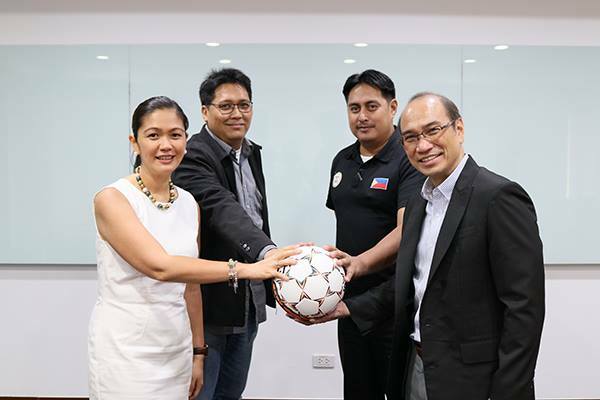 (L_R) Gae Martinez, Allianz PNB Life Chief Marketing Officer; Rei Abrazaldo, Allianz PNB Life Branding Communications and Digital Director; Ake Pastoral, Philippine Football Federation National Grassroots Officer; and Danny Moran, Henry Moran Foundation President. Allianz PNB Life in cooperation with the Henry Moran Foundation and the Philippine Football Federation (PFF) will be holding the National Youth Futsal Cup on May 6 (Saturday), 7am to 5pm, at the University of Asia and the Pacific in Ortigas, Pasig City. 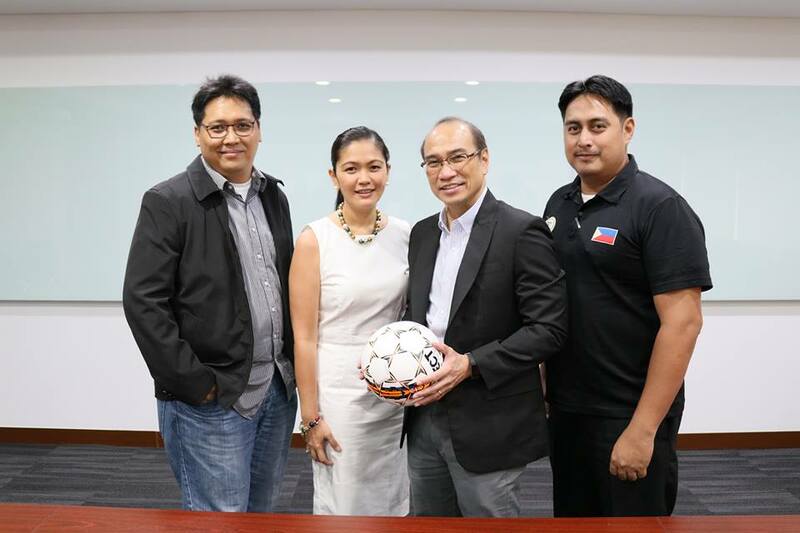 (L-R) Rei Abrazaldo, Allianz PNB Life Branding Communications and Digital Director; Gae Martinez, Allianz PNB Life Chief Marketing Officer; Danny Moran, Henry Moran Foundation President; and Ake Pastoral, Philippine Football Federation National Grassroots Officer.